Outlook: For the first time in years, the North Marion boys' basketball team will be looking up at its competition. Following the graduation of 6-foot-8 post Trevor Ensign in the spring, the Huskies enter the 2018-19 season with the majority of its experience playing from the perimeter. 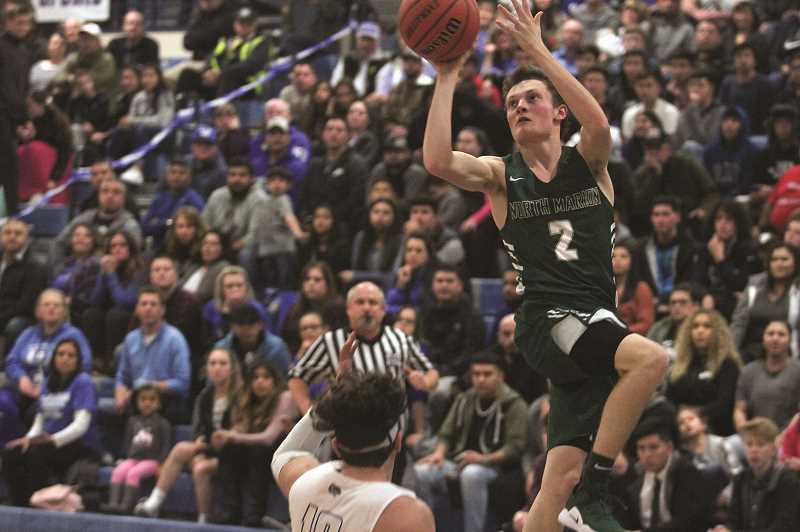 Seniors Grant Henry — a Second Team honoree in the Oregon West last year — and Griffin Henry give the Huskies a pair of athletic shooters who can handle the ball and direct the offense. Fellow senior captain Jared Hauser will look to expand his role with the team as a slashing wing who can get to the basket. While the Huskies lack the kind of towering size the program has been known for in the past few seasons, the team still boasts a strong interior presence in junior forward Sergio Jimenez, who plays above his height and can outwork opponents inside or drift to the outside to handle the ball. This year, North Marion returns to the Tri-Valley Conference where only one team boasted a winning record last season, and none featured prominently in the state playoff picture. The Huskies are looking to fill the power void in the Tri-Valley and return to the state playoff tournament after a one-year layoff.